How to Nail the PERFECT Sparkler Exit! Do you know what? I love sparkler shots!! 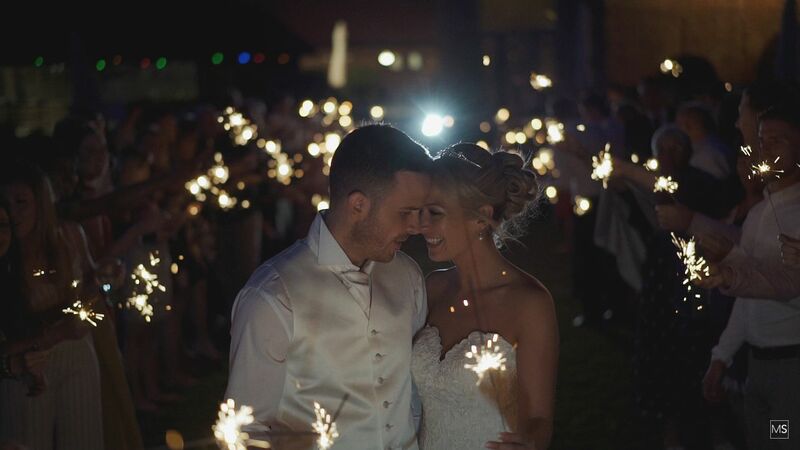 Planning a sparkler shot can be an awesome ending to your big day so here are some top tips to help you nail it! Go LARGE! You can buy different size sparklers. The regular length ones burn out really quickly, buy the longest ones you can to make sure they last as long as possible. The last thing you want to do is find that the start of the line has burnt out before you get to the end.Think about how you are going to light them! Matches just aren’t up to the task and will blow out in the wind. Multiple lighters are the best way strategically placed along the line so that as many sparklers can be lit at the time where we shout go!Communicate. Tell your venue, photographer and videographer in advance that you would like to do a sparkler shot. Also, have a group of guests ready to help you light them when the time comes. The wedding party is probably the easiest way to go!Walk Slow. So we are all lit and you’re ready to crack on walking through the sparklers, TAKE YOUR TIME! This allows you to enjoy the moment better and also means you give your photographer and videographer the best chance to get the killer shots!Enjoy it! It’s a fun moment when your guests are whooping and waving their sparklers, take in the moment and enjoy it! A great thing to do halfway down the line stop for a kiss it makes for a killer shot!Finally, how are you going to extinguish and dispose of the hot sparklers? 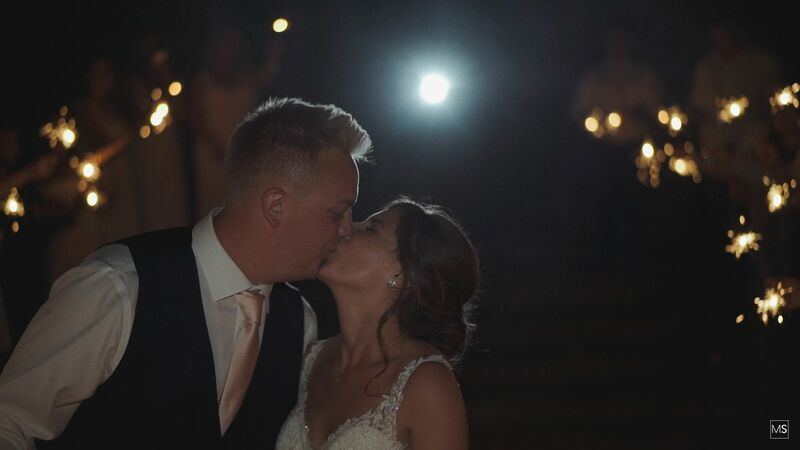 A lot of venues will already have a bucket of sand or water that they use specifically for this reason.I always look to light your sparkler exit in a specific way with a high power spotlight behind you and lighting you from the front. 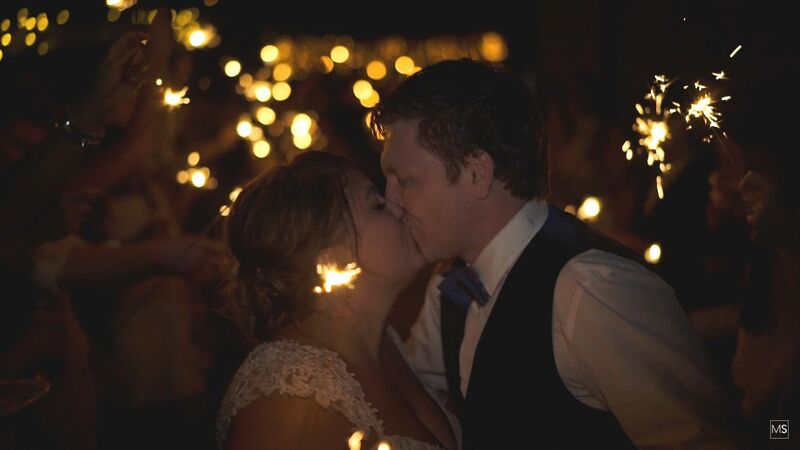 This helps lift the ambient light that comes from the sparklers, talk to your photographer or videographer. 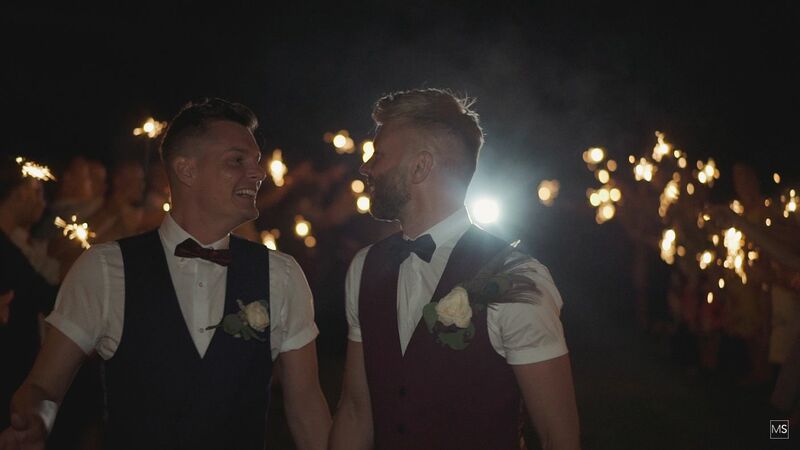 How do they look to capture the moment?